Here’s the Summary for September 30, 2014 (for previous summary, please see Summary for September 29, 2014). 1. Exactly 11 years ago, September 30, 2003, Russia attempted to steal a piece of Ukrainian territory by beginning to build a dam from its Krasnodar Krai [region] towards the Ukrainian island of Tuzla. The objective was to “attach” the island to the Russian Federation. The reasoning was, pre-1925, Tuzla was a part of the Taman peninsula, and became an island as a result of a powerful storm. So, [Russia said] give it back. Back then, matters were settled without an armed conflict. But such is the logic of the process – once one state sets its sights on another’s territory, it won’t shut its hungry maw until it gets punched in the teeth. This is what we are observing today. Failing to draw conclusions from the lessons of history is the most dreadful of mistakes. Whatever the outcome of today’s bloody saga of Russian aggression, we must remember this, every minute of every day. A dreadful economic situation, social problems, etc. – none of that is an excuse for putting the army on a back burner. Otherwise, we have a stolen Crimea and a burning Donbas. 2. Russia continues amassing troops near the Ukrainian border. 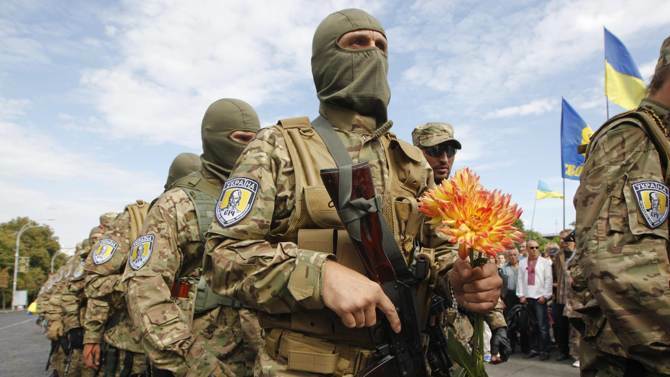 Newly assigned sabotage and reconnaissance groups of the Russian spetsnaz are being deployed there, and we can expect them to be on the territory of Ukraine as early as tomorrow. This morning, we received information about the deployment of Russian rocket systems very close to the border. At first, our sources reported that those are operational tactical ballistic missile systems. After looking further into it, we found that the Russians positioned a battery of Tochka-U [also known as SS-21 Scarab B technical systems] by the border. 1. In Sloviansk, local activists blocked the city executive committee [city hall], protesting against the appointment of Party of Regions members Valeriy Radchenko and Vadym Lyakh as mayor’s deputies. The activists were supported by fighters from the Sich volunteer battalion. This, by the way, is the same Radchenko who was the chief of police in Crimea close to the end of Yanukovych’s dictatorship. That fellow happily sold the Crimean police to the Russian occupiers in March of this year, and then fled to his home town of Sloviansk – to continue screwing over Ukraine, now in a deputy mayor’s title. What can I say – great job. These events happened soon after publication of the Information Resistance group’s report about “liberated territories,” [Editor’s note: English translation of this report will be completed soon and linked here] in which we pointed out a very pressing threat of familiar faces and names “resurfacing” in local level positions. But if local patriots are standing up to that filth, not all is lost. By the way, once I found out what was happening in the city, I gave a call to the activists in Sloviansk. They tell me that Radchenko and Lyakh are just the tip of the iceberg and that this swamp is due for major dredging. They also admit that if it were not for the guys from the Sich battalion, they [the activists] would have had some hard times – local law enforcers will kill people for Radchenko without flinching. Hold tight, guys. Your battlefield is no less important than the front lines. Best of luck to you! Meanwhile, a question to the government. Should we stay tuned for Yanukovych’s return into the president’s chair any time soon, or is anyone “at the top” finally going to start working against this “resurrection” of the previous administration’s scum? 2. The National Guard received 100 units of new equipment, and the purchase of 500 more is planned. Among the purchased equipment are trucks, Cougar and Spartan armored vehicles, and armored KrAZ trucks. The Cabinet of Ministers [of Ukraine] also promises that all military servicemen of the National Guard will be supplied with winter clothes before October 10th. The point about equipment needs no further comment – equipment shortages have been an issue for our troops since the first days of conflict, so 100 new units are already a success. As for winter preparations, it may be too early to applaud. Before now, the Ministry of Defense also vowed that our troops would be fully prepared for cold weather by October 10th. Based on our data about the current state of this process, we can voice some doubts as to the feasibility of this plan. But, we will see. If the winter preparation process ends up being sabotaged – then the tales told by the military-politicos and military command about alleged positive changes in the MoD are not worth two kopecks. That [failure] would mean that nobody has even started cleaning out those Augean stables. 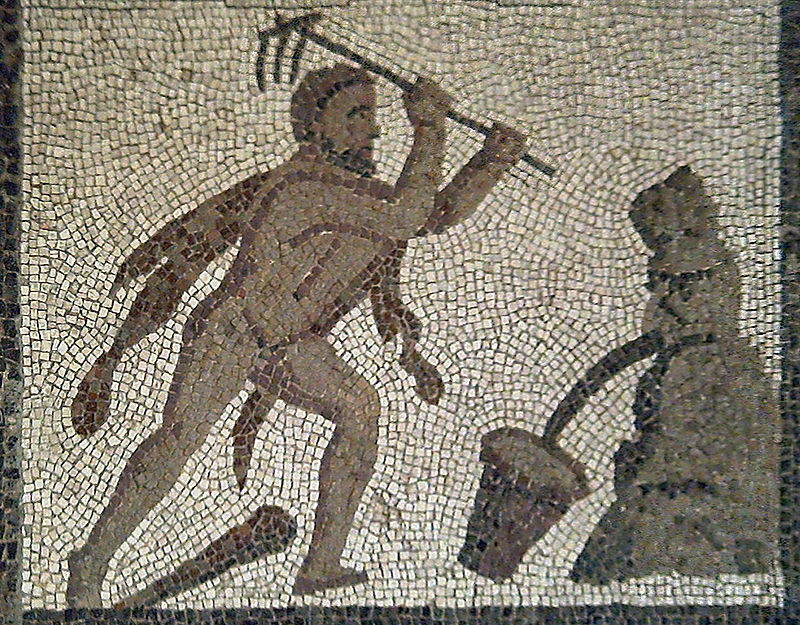 Mosaic of Hercules cleaning out the Augean stables. 3. The Parliamentary Assembly of the Council of Europe, by a majority vote, rejected Russia’s proposed amendment to the PACE resolution, which was meant to emphasize an “increased activity of Nazism” in Ukraine. In simpler terms, the PACE told the Russian deputy Olga Kazakova to take a hike, after she frothed at the mouth, demanding to express “concern with the increased activity of neo-Nazi organizations” in Ukraine. Europe was perplexed to see an orator from a Nazi state, an envoy of Hitler’s double by the name of [Vladimir] Putin, throwing accusations of “Nazism” at Ukraine, a victim of Putin’s aggression. 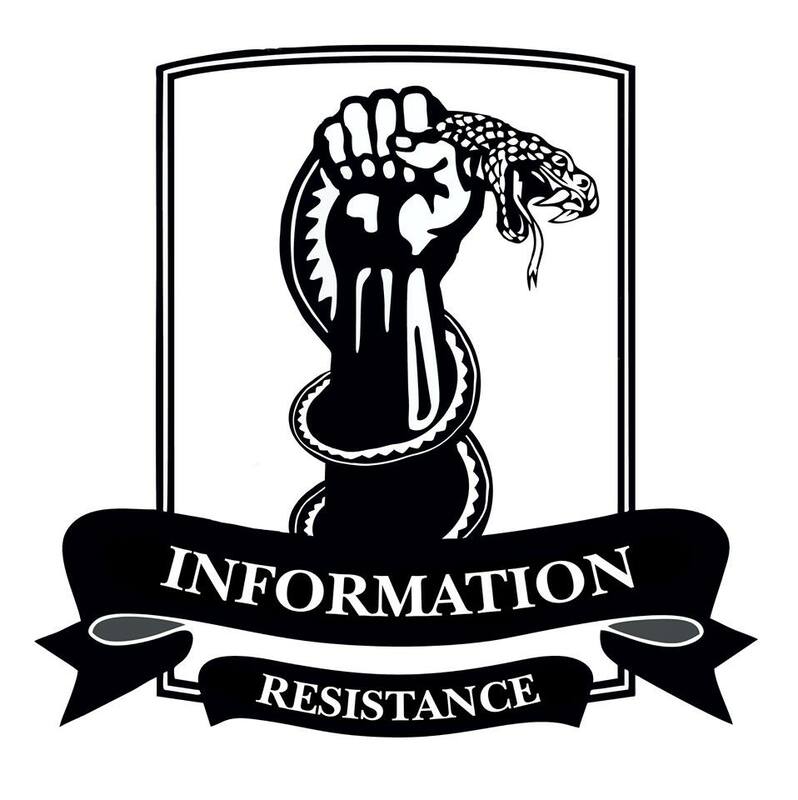 This entry was posted in Dmitry Tymchuk, English, English News, South&Eastern Ukraine, War in Donbas and tagged #RussiaInvadedUkraine, #RussiaViolatedCeasefire, Dmitry Tymchuk, Information Resistance, Ukraine. Bookmark the permalink.